A Partial History of the Negros Campaign. Chronological History of Company "F" 503d Parachute Infantry. - Louis G. Aiken Sr.
- from "Bless 'em All"
We have now published two very special, Limited Edition books concerning Corregidor. Previews are available. IF YOU APPRECIATE OUR BEING HERE.. Think you're good at restoring old digital images? We've got a challenge for volunteers. Battlebook - Corregidor - Bush, Cochrane, Gingrich, Gross, Hackett & Schultz. "Combat Over Corregidor"-Charles H. Bradford M.D. - 161st Parachute Engineer Bn. - 462d Parachute Field Artillery Bn. 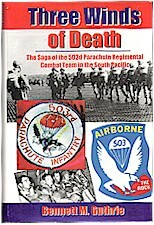 History of Company "E" 503d Prcht Inf. 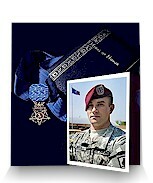 - John Andrew Barnes III - 503d Inf. - Michael R. Blanchfield - 503d Inf. - Ray E. Eubanks - 503d Pcht, Inf. - Lawrence Joel - 503d Inf. - Carlos James Lozada - 503d Inf. - Don Leslie Michael - 503d Inf. - Charles B. Morris - 503d Inf. - Milton Lee Olive III - 503d Inf. - Alfred Rascon - 503d Inf. - The Noemfoor Subway - Louis G. Aiken Sr.
One Bronze Arrowhead - from "Bless 'em All"
The Noemfoor Subway - Louis G. Aiken Sr.
"Writing about the Battle at Wheeler Point" - John 'Jungle Fox' Lindgren. Combat Over Corregidor by Charles Bradford M.D. - History of Company "E" 503d Prcht Inf. - Navy Intercept Tunnel, Monkey Pt. Hughes, Les - "The Philippine Airborne"
Jones, George M., Col. - "Corregidor - Commander's Report"
Jones, Gertus H., Sgt - "Corregidor"
Kwiecinski, Steve. 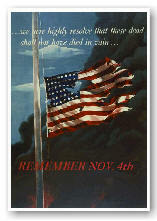 - "Lopez raises The Flag - 65 years Later"
Larson, Dolane. - "The Presence of His Absence"
Leabhart, Charles R.. - "Aid Station Roster"
Levine, Lester H. - "Souveniring"
- "D" Company Attack on Battery Monja, 21 Feb 1945. - "D" Company Attack on Battery Monja, 24 Feb 1945. - "Corregidor Diary - April 1989"
- "Gems of Corregidor - April 1989"
Mullaney, Jim - "The Letter"
- "Gordonvale Diary - 1943"
Murphy, Thomas N. - "On Corregidor"
O'Friel, Paul C - "D + 60 Years"
Postlethwait, E. M., Lt. Col - "Corregidor Coordination"
Stribling, Charles R. - "Growing Up Overnight"
Templeman, Harold. - "Corregidor Roster 1945"
- Tracing the Tokaido Road, Negros, P. I. War Crimes Branch, Report No. 2., Noemfoor.